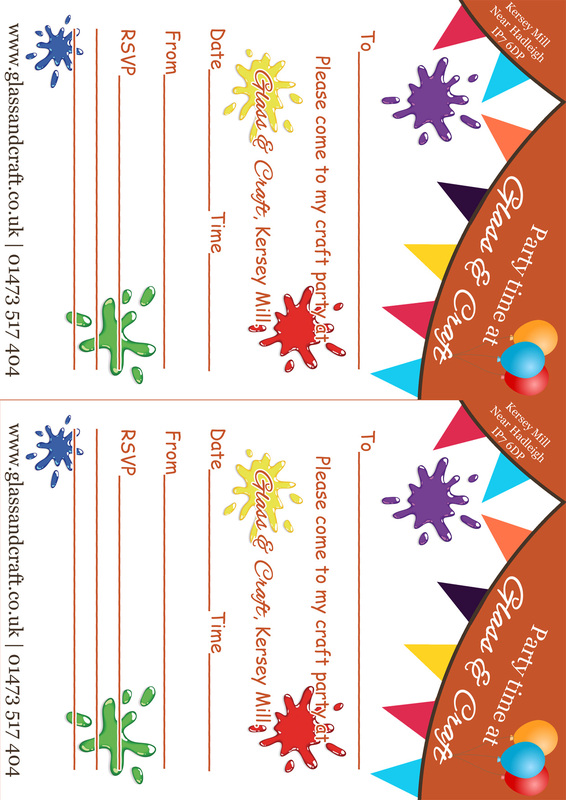 If you have already booked your childs craft party with us you can print your invites from here. 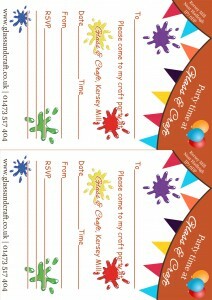 Alternately pop in to the shop and we will give you some invites to hand out. Click HERE to go back to the Glass & Craft party page. Right click on the full image and either select print or save.